Location, Location, Location!!! Sit and swing on your balcony and enjoy the beautiful sunsets setting over the gorgeous Atlantic Ocean and the sound of the waves crashing along the shoreline. 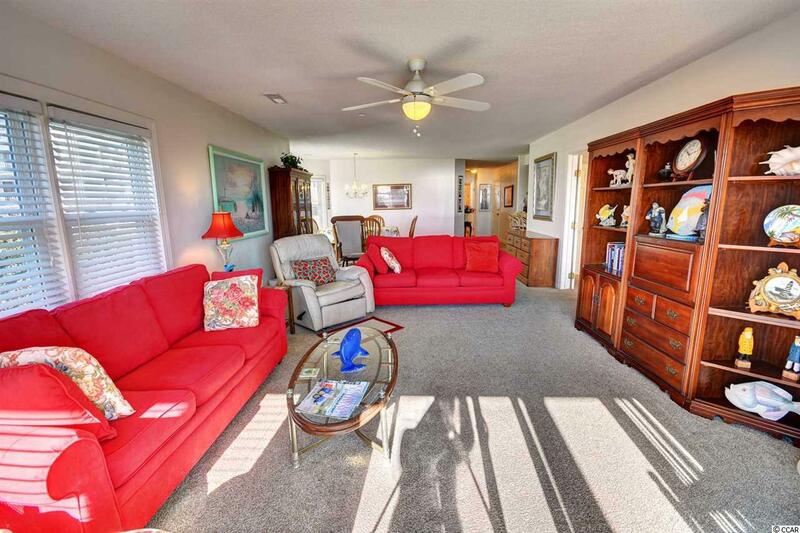 The Charming Drayton House is a well-known vacation destination located along the Golden Mile Section of Myrtle Beach. It is adjacent to a park that offers walking and exercise stations for fitness experts and the fitness novice. This is the only section of Myrtle Beach that has the quaint charm of small beach cabanas and pristine beaches untouched by high rise resorts. 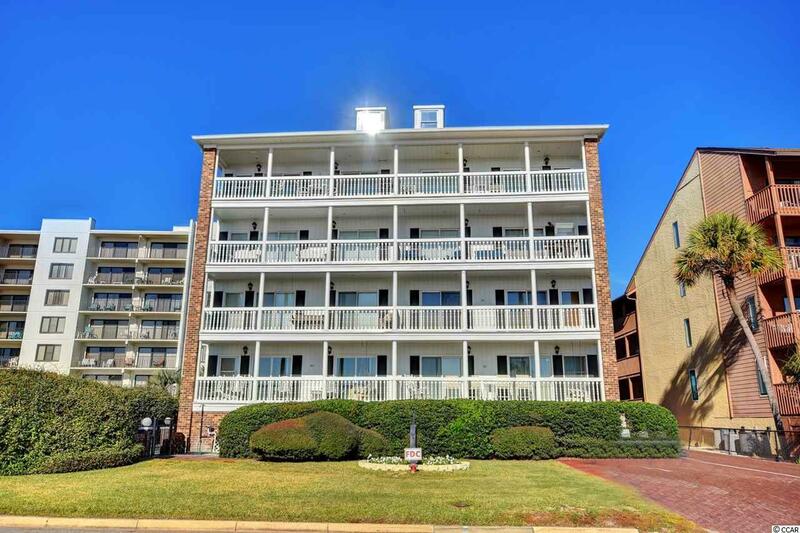 This three-bedroom condo makes the picture-perfect primary home, your home away from home, or a wonderful investment opportunity. The spacious living and dining rooms are great areas for entertaining your family and guests, and the split bedroom layout allows for privacy when needed. 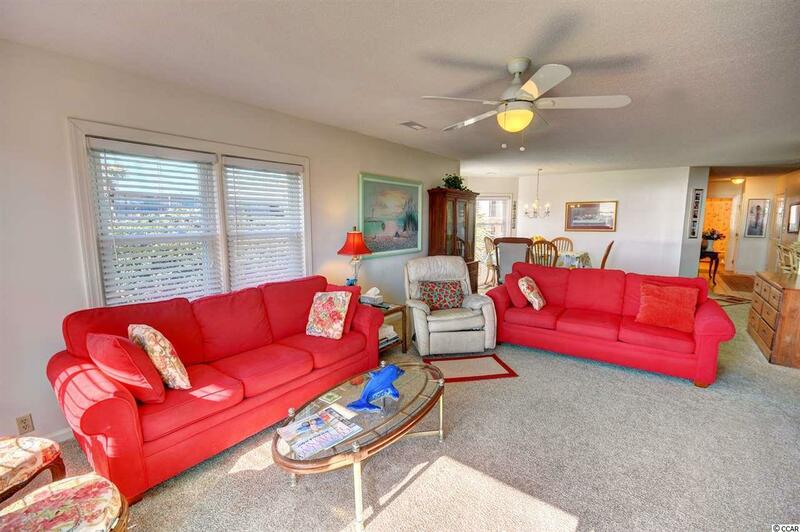 You will enjoy all the natural light that fills the condo from the sliding glass doors off the living area and the bay window in the dining room. The kitchen comes equipped with adequate cabinet space and all the major appliances, so you can make your favorite meals for dining in after a long day of enjoying the beach. The master bedroom is located along the ocean front with access to the extra-long and expansive balcony area. The master bathroom features a double vanity sink with a shower/tub combination, and the guest bathroom has a single vanity sink with a shower/tub combination, as well. 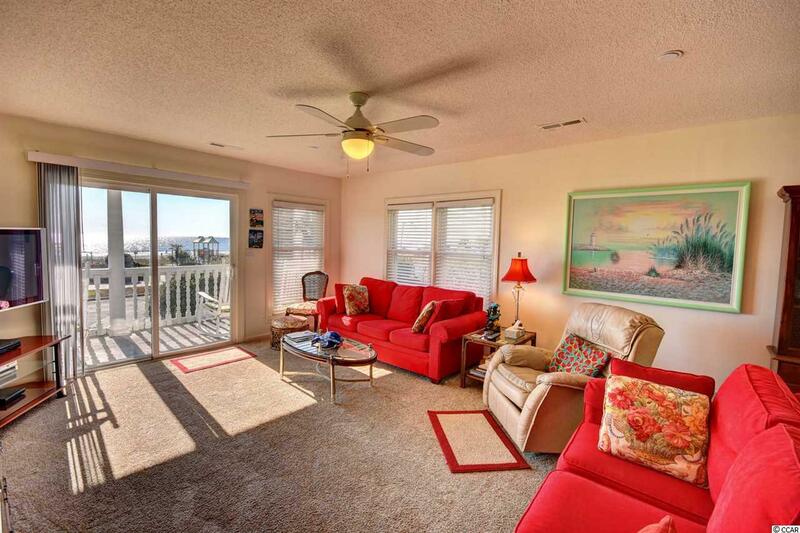 Each of the bedrooms feature ceiling fans for circulating that salt air aroma from the ocean across the street. The current owners have not allowed pets nor smoking in the condo, so there are no lingering odors. This tight knit condo complex has an outdoor pool for its guests and owners to cool down on those hot summer days. Owners are allowed pets and motorcycles in this community as well. You and your family will LOVE having the sand in your toes just a few steps away from your front door. This Location is 2nd to None with its proximity to the BEST Dining, Shopping, and Entertainment along the Grand Strand. You are just minutes from the Popular Broadway at the Beach, Water Parks, Nascar Speed Parks, Ripleys Aquarium, and The Boardwalk in Downtown Myrtle Beach. Stop by Today to Check out this Slice of Paradise!